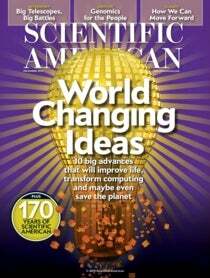 In my Scientific American column this month I wrote about the ecosystems of the tech world. If you buy all Apple stuff, your phone, tablet and laptop all work together in convenient ways. Same thing if you stick to Google, Microsoft or Amazon. Month by month, these companies try to clasp the velvet handcuffs tighter, offering more and more goodies to entice us to stay within their ecosystems. Apple generally keeps its offerings to itself. You can’t shop the iTunes movie or music store on Android machines, for example, nor consult your iCloud calendar on an Android phone (at least not without a shareware utility). But other companies—the ones that don't derive most of their income from selling hardware—make their software and services available to their rivals'ecosystems. Most of Google's apps and services, for example, run happily on Apple's iPhones. So I investigated what offerings are available from each company—and which are available to rival platforms. A "•" indicates that a company offers that product; "-•-" means that it’s available to other companies' platforms. For example, you can use Google's online calendar on Apple, Microsoft or Samsung phones, so it gets a "-•-." But the "-•-" doesn't mean that something works on all rival platforms. For example, Apple's iCloud services (including its calendar, address book, Web password syncing and free online "hard drive") are available on Windows PCs but not on any Android device.